Simetra Systems, Inc. was founded as a partnership between Margaret Cook and Kevin Jung in 1991. The goal was to address computer consulting needs and create customize solutions for small to medium-sized businesses. The company has been a Microsoft Certified Partner since 1993 and incorporated since 1996. Simetra Systems prides itself in providing a level of customer service that we would like to receive ourselves. Simetra has grown to include a talented team of database developers and network solution professionals to carry forward the reputation of the company both in products and service. We are dedicated to continuous research and development to maintain our lead in both product and software development so that our customers can keep pace with the rapidly changing technology field. What makes Simetra unique is the attention we pay to researching new applications for customers; the superior quality of our work, and our commitment to service. 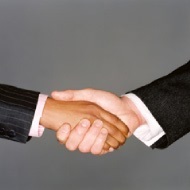 We strive to build long-term relationships with our customers. Margaret, President of Simetra Systems, Inc., is a graduate of the University of Arizona with a degree in MIS (Management Information Systems). She worked in the Aerospace Industry for 8 years, developing project management and financial computer systems. Her experience at Rockwell International enabled Margaret to develop her programming skills on multiple database platforms. Her expertise includes database design and database programming, using such tools as Microsoft Visual Basic, SQL Server, Interdev, ASP, and Access. While Margaret was on maternity leave in 1992, she decided to leave Rockwell International and start her own consulting business. After working on her own for the first two years, she found that she needed to extend her company's skills in the hardware area. Margaret contacted a former business associate, Kevin Jung. Kevin had the hardware expertise that Margaret's company lacked. 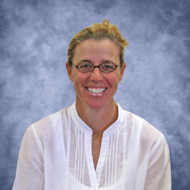 Kevin joined her team full-time in 1996 and they created the partnership of Simetra Systems, Inc. In December of 1993 Margaret studied and passed the Microsoft Certification testing and has been in good standing ever since. 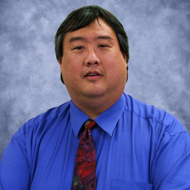 Vice President of Simetra Systems, Inc., Kevin Jung, is a graduate from the University of Arizona with a degree in MIS. Prior to joining Simetra, he worked in the Aerospace industry, spending 8 years at Rockwell International, where he specialized in hardware components, developing and managing internal LAN's (Local Area Networks) and WAN's (Wide Area Networks). Because of Kevin's competence in the hardware field, from time to time he was asked to consult with Simetra Systems, Inc., before taking a full-time partnership in 1996. Kevin tested and passed his Microsoft certification in 1996 and has been in good standing ever since. Simetra is one of the few programming/software development companies that can support and design hardware for our clients. Today, Kevin is responsible for designing and implementing hardware solutions for our clients. His knowledge and proficiency allows our clients the most efficient systems to run software applications, internal databases, and wireless solutions. Simetra System's success relies on our hard working employees and their commitment to quality and service. We are always looking to add talented individuals to our great team. 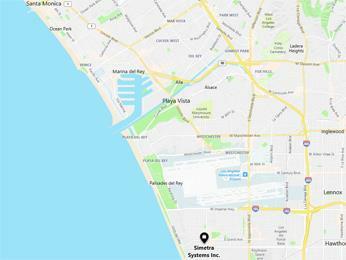 If you are ready to work in an energetic, fast-paced, technical environment, inquire about career opportunities available at our headquarters in El Segundo.